With a mutual appreciation for challenging the status quo, we partnered with legendary Japanese label Sacai to recontextualize our Classic boot. 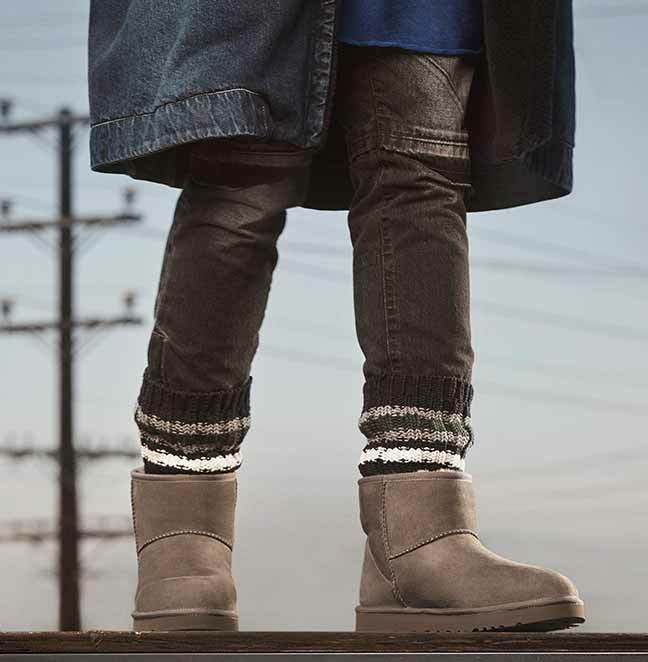 Crafted from our soft Twinface sheepskin and our remarkably lightweight sole, this hybridized update melds chunky knits into our signature silhouette, infusing our iconic original with a fresh and youthful spirit. Pair with all-denim looks or oversized camo.